One of a zillion on a quick store window. I agree with Kurt on the genus Nixe. 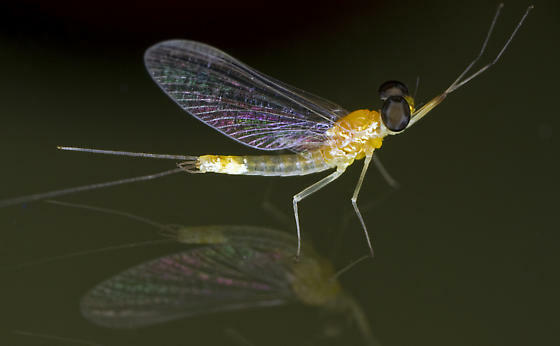 I believe this male imago to be of family Heptageniidae, and suspect it might be genus Heptagenia, or (as fellow aquatic entomology/taxonomy enthusiast Kurt Schirmer suggested on my flyfishing entomology forum), Nixe. However, I am preliminarily placing it in the guide at family level. More specific location information for both images would be appreciated.